:: Construction Graffiti ::: Where's waldo? 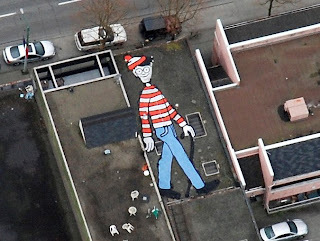 Natural Search Blog managed to find Waldo on a rooftop in Vancouver via Google Earth. Very Canadian. Labels: construction, graffiti, Vancouver, Where's Waldo?